Don Young company specializes in custom-made premium vinyl and aluminum windows and doors that are AAMA certified. Our products are for homeowners looking to maximize energy-savings and long term performance for their homes. Patio doors by don young co.
Patio doors are what separates our passage from the home to our backyards, where our families spend time playing, gardening, or grilling on those beautifully pleasant weekends. If your current patio door is more than ten years old and you use the door on a regular basis you might be in the market for a new and improved door that blocks out more air, noise, heat, and cold. What should be considered before buying a new patio door from Don Young Co? 1. Lots of door choices are available. The door industry has advanced over the years, and you will find a diverse selection to choose from. Just start browsing the internet and you will see lots of styles from sliding patio, swinging patio doors, and folding doors with prices that range from four to five digits. 2. What's the biggest issue with your door now? As homeowners, we're not going to have the same problem with a door as perhaps your neighbor will have. One of the problems with older doors is failed glass, which means there is an opaque film that has gathered in-between the two pieces of insulated glass that obstructs viewing through the glass. The older the door gets along with the daily use, the more air it will start to leak around the panels, because the weather-stripping has worn to the point of letting unwanted air into the home, which is very noticeable in the colder winter months. And over time there is the movement of foundations that move the door and create little gaps that become breaches for extra air to infiltrate home. Rotting wood door jambs and door panels is an inherent problem with any door that uses wood components. These parts of the door will rot once water has access to the wood, because of not being properly sealed with paint or stain, which is an ongoing procedure that needs addressed every few years to prevent the wood rot. Sometimes, it's just that the door no long operates smooth and you struggle to open and close the patio door. This is because of wear and tear on the hinges or rollers that no longer work well, and it is less expensive to replace the door with a newer model that is more efficient. 3. What style of patio door works best for my house? One way to think about the design elements of the door is to work within standard sizes of 36" and 48" for keeping down budgets. For example, a 6' door will have two panels, an 8' door is a two-panel door. Patio doors are available in custom sizes too. One of the more common uses of patio doors includes making them taller. 8' tall sliding doors are being used in homes with more open tall interior spaces to balance out the look of big rooms. Upgrading old patio doors in a home affects the style and look of any room. If you currently have back doors that are leakage air and heat new doors are a good investment and will add more indoor comfort year-round to your room. There have been lots of changes over the years with respect to the material uses for sliding patio doors. Now doors use lower maintenance materials like vinyl, fiberglass, and thermal-break aluminum. These materials offer a wider range of options, colors, and energy efficiency opportunities than ever before. Remember the functionality difference of patio doors: a swinging patio door operates like a regular door that swings to the interior of your home versus a sliding patio door that slides to the left or right for situations where nearby furniture or walls are in the way and you don't want a door panel swinging into to potential objects. 4. What is the cost of patio doors? The price of patio doors depends on a few things like size, frame material, and glass options. The entry-level or better value price point door is made from vinyl or aluminum and are close in the price range. Let's use a 6' x 6'8' two panel back patio door as a pricing example range for vinyl and aluminum, the price for the Texas markets ranges from $1200 to $1800 for the cost of the door. When you start considering wood or fiberglass the price ranges are much higher from $3200 to $6500 for just the door unit depending on the manufacturer. The other factor on cost is which glass option to choose? Most homeowners in our Dallas market want to block summer heat from entering the home, so the low-E glass is the best choice for blocking heat and damaging UV rays. If the homeowner wants a decorative glass or a privacy glass there are several options of glass to choose from. Glass options are obscure, satin, chord, rain glass, and geometric. These specialty glass options can add as much as 350.00 - 650.00 more per door panel. 1. How big is the opening? 2. Are there any transoms or side-lites that will be attached to the door? 3. Will, there be any additional carpentry work like replacing rotten wood? 4. Does the project require more than one installer to safely complete the job? 5. Any old paint contains lead it requires a more expensive removal process. Finally, perhaps the biggest benefit of replacing your old door is one of just having a door that is easier to live with when you and your family want to have better access to the outdoors without the headache of fighting with an old drafty door that doesn't operate smoothly anymore. 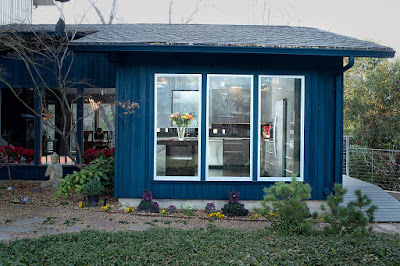 What is the best overall new window value for your home in DFW? What is the best vinyl replacement windows for our Dallas area customers? The easy answer is, one that blocks solar heat gain and is Energy Star rated. But it's vital to examine all the many moving pieces involved in making informed window decisions. Here's the most straightforward reason: Replacing old windows that have become ineffective against heat gain, and air drafts with energystar.gov certified windows had been shown to reduce household energy bills by 10-15 percent. Now, more than ever, people looking to improve the efficiency of their homes and choosing to upgrade the windows to higher efficient ones as a way consume less energy and to reduce greenhouse gas emissions. 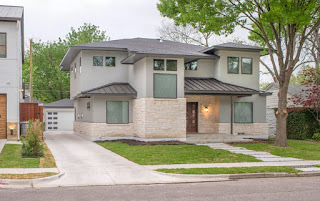 If you're like most Dallas Fort-Worth homeowners that have homes, that's over 20 years old your actively looking for value-added features and customized designs to better work with the need your home and reduce extra harmful greenhouse emissions. Successfully designed windows that have value-added features that fit seamlessly into the lives of the end users at a cost-effective price point is one of the basic goals that need to be met. Some windows come with many extra features that aren't necessarily standard with other window companies. 1) Double strength glass, which provides added strength against impact. 2) Premium fin seal weather-stripping that blocks out more air, dust, and pollen than standard weather seals. 3) Aluminum reinforced meeting rails that can support heavier glass without sagging. 4) Premium vinyl formulations to withstand our harsh heat and are impact resistant to hail damage. Keep this in mind when you’re replacing your windows, many areas of Dallas Fort-Worth have specific code guidelines on energy performance we all have to follow. The newer energy codes dictate the U-factors and solar heat gain requirements that all new windows must meet. Look for windows that meet or exceed all energy requirements to avoid any problem with local codes. So, let's talk about what makes a window energy efficient. Sometimes the best data about window performance that could best serve your home are overlooked by the consumer, because of all the misinformation and claims about the features and benefits from individual window companies wanting to upsell unnecessary overly priced options. So, let's take some time and go over the fundamental factors that will contribute most to your new window. The glass is the single most crucial part of a window for savings. The glass is about 80 percent of any window, so it is capable of nearly 80 percent of the potential energy savings. Today's glass has multiple options ranging from blocking the suns heat, reducing outside noise, and specialty glass that lets light in, but, blocks viewing for privacy like obscure glass. The most prominent advancement in technology has come from the low-E glass. Low-E glass does its best work in blocking up to 73% of the suns direct heat and nearly 95% of damaging UV rays - By far, the most effective upgrade is low-E glass when custom ordering your new windows. What does Agron injected between insulated glass do for added performance of a window? Argon gas is about five times denser than regular air, which means it minimizes convection currents inside of the glass unit thus reducing heat transfer through the glass unit. Argon gas is a colorless, orderless, and nontoxic gas. Argons thermal conductivity is roughly 67% that of air resulting in a 16% improvement in thermal efficiency. The bottom line is Argon gas used in windows improves the overall efficiency of your home, and the upgrade cost is inexpensive. Window frames are an essential consideration because it contributes to the performance of the entire window. What is needed in frames is low conductivity and structural strength to hold the big glass and to reduce heat flow through the frame material. The most popular frames used in today's windows are vinyl because of its excellent insulating capabilities that provide long-term energy performance and the ability to withstand the elements of nature. My goal here is to convey this information as quickly and efficiently as possible - not an easy task. Window products need to be tested by NFRC a non-profit group that certifies a windows U-factor through a testing process amoung with other tests they conduct on windows to certified a windows U-factor. This test result is on the NFRC label that applied on every window after it's completed during the manufacturing process to show its U-factor to the consumer, its a lot like a new car that has its gas mileage rating on the window sticker of a car at the dealerships. A U-Factor measures the rate of heat transfer and tells you how well the window insulates. The slower a product transfers heat, the better, vinyl windows perform approximately 20% better than what is required by NFRC standards for Dallas Fort-Worth windows. Replacement windows can be made to order in 1/8" increments for a more precise custom fit for any house. The result after the window has been correctly installed and sealed against weather by a trained window and door installer is a window that looks as if it came with the home. Most window manufacturers have a limited lifetime warranty that can give you peace of mind and assurance. The offerings of an ongoing series of educational window content focus on the homeowners can be found at http://www.aama-ntl.org/. Picking a sensible window for your home based on the list in this article will be a powerful information tool to move forward with a window purchase. The combination of our better U-factor, tighter air seals, and best in class low-E glass adds up to a significant energy saving window. Finally, the overall conclusion for most homeowners looking to buy replacement windows is that vinyl offers the best overall value for the price. The original windows on this Irving home were starting to look old, dated, and have a few broken glass panes. So, the homeowners did their research on new vinyl windows and found the Don Young window is rated as one of the best vinyl windows for quality and performance made by a local manufacturer. The process of shopping for new vinyl windows proved to be overwhelming for this couple. What helped them decide on Don Young windows was a visit to our showroom located in Dallas, where they were able to see all the vinyl windows options in person and go over window designs that would best suit their window openings in their house for maximum efficiency, and tour our vinyl window manufacturing department. 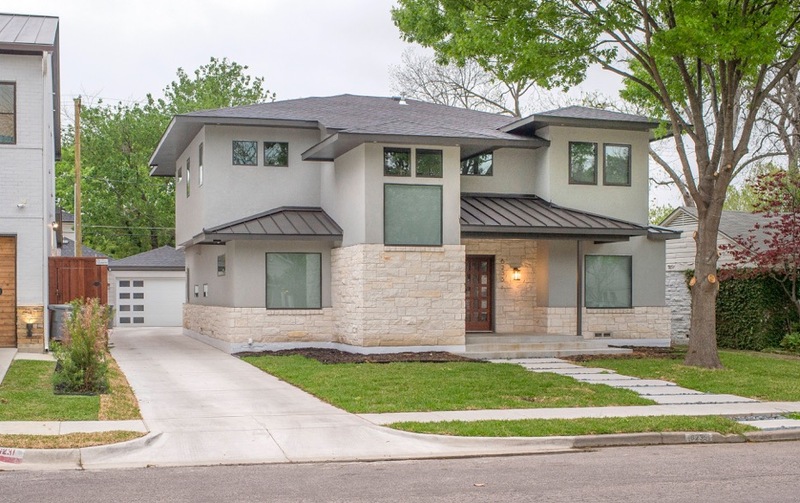 The vinyl windows that were installed on this Irving project were single hung vinyl windows with cardinal 366 low-E performance glass with argon gas for maximum U value and solar heat control. The critical part of a vinyl windows ability to block sun is the Solar Heat Gain Coefficient (or SHGC) is a measure of how much solar energy is transmitted via your window. The glass used on this job was the www.cardinalcorp.com Cardinal 366 low-E because it blocks about 73% of direct sun's heat and rejects 95% of damaging UV rays that fade interior furnishings. New vinyl windows using double pane installed on this beautiful home improved many different things: one was better curb appeal, which is, of course, a primary reason for investing in new vinyl windows; much better solar heat rejection from entering the house, and a quieter inside environment. On the day of the new vinyl window installation, the installers added extra foam installation around every new vinyl window for combined sound reduction. Using a spray foam around the new windows has a few distinct benefits. One is that it seals the cavity of the window opening around the vinyl windows, which will do a great job of blocking additional sound, dust, pollen, and water from penetrating the perimeter, and second, it serves as a secondary anchor for new vinyl windows into the opening. The new Don Young vinyl windows toned down the extra street noises to a more acceptable level for these homeowners. Before you, as a homeowner move forward with a replacement window job on your home, let a representative from Don Young windows contact the city of Irving for you to check for any update windows codes. Whether you have failed glass, broken windows, or a heat problem in the summer months with your home, you will benefit from new vinyl windows custom-made for your window openings and the energy savings they can provide the year round. The team at the Don Young company would like to thank the extra efforts made by the windows installers working on this home to get all new windows installed before the customer went on vacation. 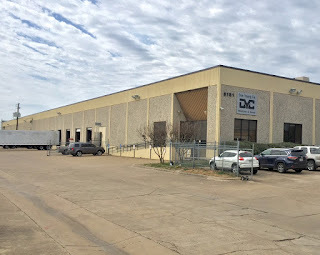 We make all of our windows at our manufacturing facility in Dallas, and as of this writing, dycwindows.com Don Young custom vinyl windows are taking about 3-4 weeks for production time. Then the window installer will contact you directly to schedule a date to install your new windows. Visit the Don Young replacement window showroom Monday - Friday, or call us to schedule a preferred window contractor for an estimate. What are the best windows for your Flower Mound home? Buying the best windows for your home is an expensive decision that can take a lot of time an worry. With all the different companies selling windows it's hard to make a good choice when you know little about windows or the companies looking for big profits at your expense. Your goal as a smart shopper is to consider some of these critical questions before signing any window contract. Hopefully, this article based on my years of experience can help guide you to a clearer more precise picture of what's important to you as a homeowner and what's the best window for your project. 1. How to consider the company to do your window replacement installation. Theoretically, we can more accurately highlight the differences between window companies by looking closely at their business model and practices. Let's start by what is a general contractor? A general contractor usually has some knowledge of a wide variety of things related to remodeling a house like electrical, HVAC, framing, plumbing, and cement. A contractor can't be an expert in every category of remodeling, and they typically aren't concerned with window replacement quality or performance. The national home improvement stores or big boxes offer great value on lots of their merchandise that homeowners need fast and conveniently for their home. But, when it comes to the best windows for your house, you have to get what they have, and that's commonly a low-end product that has to be special ordered that can take several weeks longer than a local window replacement company. One thing to keep in mind is that most custom windows from big box stores are made out of state and can be problematic to service if needed. The chances of big boxes getting your new window order correct aren't good either because the window and door counter is staffed with ill-trained and inexperienced workers that make close to minimum wage or are part-time workers that work throughout the store as needed. The best choice for custom replacement windows is still companies that specialize in windows and doors. You get a more knowledgeable staff that is trained well on the windows they offer and know the local codes and laws. A company that does only windows can be of great value in suggestion ways to make your new windows more functional and suggest design elements to add to the aesthetics of your house. Most importantly is the fact that not every home is built of designed the same, so what may look good and perform well on one house, may not look good and perform well on another. Specialty window companies offer the best windows in their area of service and just out execute these other players in the custom replacement window business and consider performance, comfort, efficiency, and quality when selecting and keeping window manufacturer. 2. So many window frames to consider, which is the best window? Wood windows have been around for hundreds of years and have their place within the market. Wood can be easily painted or stained to match any interior and exterior; this is its number one strength. But wood needs lots of love and attention if they are to last. Wood is a high maintenance material that will need to be re-painted or stained. If the wood is exposed to high moisture, it will eventually rot. The main obstacle for most homeowners is the cost of new wood windows. A homeowner can expect to spend much more on this material without any added energy savings. Windows made from fiberglass is considered a low maintenance material that is strong and durable and won't rot like a wood window. One thing that fiberglass has with wood windows is the flexibility to be painted any color to match any color theme in a house. As for the price of fiberglass, it has the same downside as wood windows and that is its high upfront cost to use in your home. The biggest obvious advantage of aluminum windows is the fact they last so long in any environment. Also, aluminum can have a structural strength advantage over other materials; this is why aluminum is used mostly on commercial buildings that have different needs than a homeowner like the ability to support large heavy glass units on the side of a building while being resistant the UV rays, and being maintenance free. One of the aluminum weaknesses is it conducts heat and cold better than other materials making it less energy efficient. Vinyl replacement windows now represent over 50 percent of the new windows used in homes in the United States and are the number one choice with builders for good reasons. Vinyl is the most economical of all replacement window materials to use for residential homes. Vinyl replacement windows are designed with multiple hollow chambers in their frames and sashes which makes them insulate well. Vinyl is one of the lowest maintenance materials which is exactly what the majority of homeowners ask for in new replacement windows. The limitation on color options has in the past hindered sales, but since around 2000 the paint and laminate technology has improved to the point that many window manufacturers offer several colors including black backed with ten or more years of warranty with great long-term success even in southern climates. All right, we looked at the most common frame options and your now wondering which one will be the best window for me or my home? Before you can make the wisest choice think about how long you might be living in your home. If you have kids that are starting school and you plan to live in the same house until your children finish college than that's a long-term investment, which might mean you are willing to spend more money for longer lasting replacement windows or new construction windows. Keep in mind window manufacturers will have a good, better, and best options on their windows, so the better and best options will have the longest life. Or, perhaps you are more budget minded, and the best window for you is basic and inexpensive, so many manufacturers offer a budget window for shoppers that have tighter budgets. It's important to weight the energy performance of a budget window against the more expensive model. One of the best window options for a budget window that will help it perform in the heat of summer is to upgrade to a better low E glass options. Custom made budget windows can be upgraded with a few manufacturers to help improve the windows performance U values numbers. The best windows for a home, as you can see have many options and variables that are worth debating before actually sending your money. This home located in Flower Mound Texas recently went through a remodel that included upgraded energy efficient new replacement vinyl windows custom manufactured by Don Young Company. 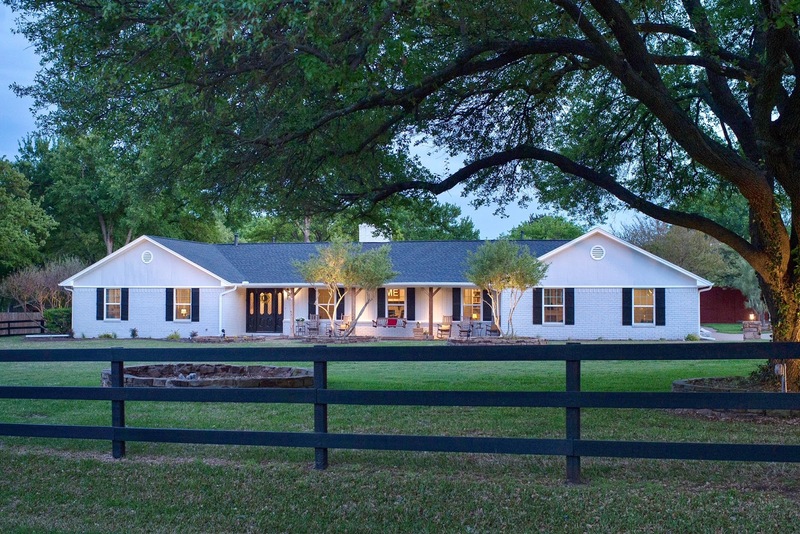 The home was initially built in the 1960's when the city of Flower Mound had minimum energy standards for homes, and the windows used back then were inefficient. The old original windows were aluminum single-pane that was drafty in the winter months and allowed the suns heat to penetrate the windows clear inefficient glass in the summer. The main window problem for the house was excess heat pouring into the house on the west side through the old windows causing the interior temperatures of the house several degrees hotter than the east side of this house. To remedy the extra heat from entering the west side of this home all new replacement vinyl windows were ordered with triple coated low-emissivity glass that blocks 72% of solar heat gain with an added UV blocking layer that rejects 94% of damaging UV rays that fade your interior. Ordering new vinyl replacement windows with the triple low E glass upgrade you can expect to spend more money at the time of purchase, but the advantages clearly out weight the small cost of this upgrade. 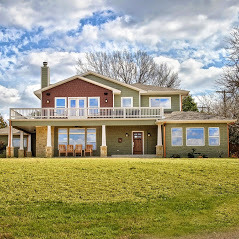 By using the best vinyl window with the premium low-E glass that Don Young makes, this homeowner was able to block most of the summers hot temperatures, and nearly eliminate the damaging UV rays. The significant advantages of using our best low-E glass upgrade are, it allows for greater room comfort, and the air conditioning will work a lot less to cool your rooms in those summers months, which adds to the utility saving year round. The finished result of this remodel project is stunning, and the use of Don Young vinyl replacement windows beautifully enhanced the looks and the energy efficiency of this Flower Mound Texas homeowner. Several criteria make a window right for your home and you, and we are happy to give our expert replacement window advise and suggestions for your window project. For most people shopping for vinyl windows, the cost is a concern. Don't worry our windows are packed with smart value, which means we’re big believers in lean manufacturing practices that keep our cost down and quality high. One of the significant advantages of vinyl windows is that its the most cost-effective way to produce highly efficient custom made windows to correctly fit every opening of your home at a nominal cost that's affordable for many homeowners. Best of all your new vinyl windows require the least amount of maintenance of any window frame materials used in modern windows, vinyl never needs painting. The cleaning of vinyl windows is very simple just use a mild non-abrasive cleaner when needed and that it, no mess, no fuss. When you’re ready to replace your old windows contact the Don Young company to get all the latest information about our custom made replacement windows for your home, and all the different options. Custom made vinyl windows is our primary focus and our specialty. We can help make your home more attractive, more energy efficient, quieter and more valuable with custom vinyl windows. Contact us for more information on energy code requirement for Flower Mound. The energy codes for new windows can vary from city to city and its important have the correct U values and SHGC numbers to meet window codes. Serving: Dallas, Irving, Flower Mound, and Grapevine TX. With the multitude of vinyl window options for homeowners to choose from it can be challenging to research all of the information and figure out who manufactures the best vinyl windows that right for you. The critical thing to know about vinyl replacement windows is that they’re not unproven for home window use. Homeowners have been buying replacement vinyl windows for about 50 years, and some vinyl compounds are now capable of lasting decades in Texas homes. Vinyl is made from two simple building blocks: chlorine from salt, and ethylene from natural gas. Then these two ingredients are further processed through chemistry to made vinyl for windows that are flexible and durable enough to last for years. When it comes to making vinyl windows impact resistant, there are a few extra steps needed to address this issue adequately for long-term usage. Polymers tend to become brittle when exposed to UV rays or low temperatures. To overcome this problem with vinyl windows acrylic based modifiers are used in the formulation process to retain impact strength. Lower priced vinyl windows use lower cost impact modifiers like CHLORINATED POLYETHYLENE which is insufficient for vinyl windows expecting to last twenty plus years in Texas. Several additives are used in today's vinyl windows such as lubricants, heat stabilizers, plasticizers, impact modifiers, fillers, smoke suppressors and UV stabilizers. The amounts and kinds of these ingredients determine the cost of a vinyl window and how it is expected to perform in the harsh Dallas Fort-Worth climate. Arent all vinyl windows basically the same? No two vinyl window manufacturers are the same, but that does not mean there aren’t some essential commonalities either. There are small custom windows companies in Dallas that identify as premium made vinyl windows. These small companies that will custom make home windows are superior to the large brand names. Think of these smaller window companies like a microbrewery that care intensely about quality ingredients and service. There's a trend with smaller window producers of making some of the best vinyl windows possible and focusing on consistent high-quality. The commitment to higher quality windows has some benefits: First quality has a powerful way of building an excellent reputation. Second these smaller companies with limited advertising budgets sell a better product at a better price because the goal with smaller window companies is to be lean and build better windows that get great reviews from their happy customers. There is a demand for better custom windows, and small manufacturers fill this segment exceptionally well. And homeowners looking for the best locally made custom windows are being rewarded by choosing smaller companies with more efficient, less costly, and better quality windows. Smaller window companies are usually family owned and operated and bring a daily commitment and mindset of making better quality windows, and they are doing this with sweat equity and passion for the custom window craft. 1. Like thinner vinyl walled windows (up to 20% thinner than a premium vinyl windows). 2. They use fewer amounts of costly ingredients like Titanium Dioxide and other more expensive compounds. 3. The standard use of extra thin single strength glass is the apparent way that big companies cut cost. This thin single strength glass is easier cracked or broken during the installation process or small hail storms. One word of caution to people shopping for new premium vinyl windows is to avoid recycled vinyl. Again the ways of cutting cost on vinyl windows are numerous and troubling for unknowing window shoppers. Using recycled vinyl negatively affects the durability and longevity of the window. Smaller companies that are focused on the replacement window business are building better products, and they avoid the good, better, best game. so they only use costlier pure virgin vinyl for every window they custom make, because it's stronger and more durable. Is all vinyl used in windows the same? One vinyl name that is popular in the micro custom window business in Deceuninck. Deceuninck vinyl compounds are a proven favorite with these small window producers, and some have been using this compound in Texas for over twenty years now. The Deceuninck vinyl used by these micro window manufacturers exceed the standards for strength and color retention established by the American Architectural Manufacturers Association (AAMA). To go one step further to ensure the performance of vinyl used by these small producers they participate in third-party certification to guarantee that the vinyl used on the vinyl windows delivers as promised. Premium vinyl windows have a lot of strengths like resistant to rot, insect and microbial damage, never require painting and are easy to clean with ordinary household cleaners, and are thermally efficient at a low price point compared to wood or fiberglass windows. The difference between premium grade and low-grade, vinyl windows are the ingredients used and in what proportions. Premium vinyl windows have more Titanium Dioxide in the base compound, which helps prevent UV breakdown of the vinyl, which means the vinyl frames will remain flexible longer than low-grade vinyl. Having more of this one expensive ingredient "Titanium Dioxide" allows us to provide a high-quality longer lasting vinyl windows. Using vinyl suppliers that are equipped with pharmaceutical-grade compounding and blending systems provide the highest consistency in vinyl window material. Consistent quality is what differentiates the smaller producers from the big window produces looking to save a few dollars wherever possible. How do smaller companies make vinyl windows even better? So, what are the other ways that a smaller manufacturer is making vinyl windows stronger and better? The smaller companies use vinyl windows that are designed with multi-chambered thicker frames for added strength; similar to how a honey cone uses multiple chambers for strength and added support. The other part of making vinyl windows stronger is what you can't see, and that is added internal aluminum inside the frames where its needed to support heavy glass and to fasten locks to the operating sashes securely. This added aluminum support ensure there is no sagging, twisting, or functional issues years down the road. It's worth noting that many vinyl window manufacturers don't use adequate metal supports for add strength because of the added cost. The result of not using proper internal metal supports on a big window is homeowners noticed their vinyl windows beginning to sag, which causes windows not to lock or seal out air properly. As compared to wood and fiberglass windows vinyl windows are the most cost-effective way to custom make replacement windows for homes. Low air infiltration and little thermal transfer due to the non-conductive characteristics of vinyl make it an excellent choice for better energy efficiency. Vinyl windows create, less condensation than wood or aluminum windows. The ability to heat weld vinyl frames make for stronger frame corners. With premium compounds, vinyl windows can last decades. When considering the return on investment, vinyl windows receive a higher resale value as compared to fiberglass or wood replacement windows. Vinyl windows have an ROI of around 72%, in the Dallas Fort-Worth markets making it one of the best remodeling investments in older homes. The lower price-point, higher energy efficiency, low maintenance, and durability make vinyl replacement windows a great value. Vinyl replacement windows are available in all the popular styles, including single-hung, double-hung, sliders, picture/fixed, casement, so, you’re sure to find one for your home window needs. The use of high quality formulated vinyl compounds cost a little more, but can't be beaten for excellent long-term performance for the life of the product, regardless of geographic location. You can be confident in purchasing premium vinyl windows because they are backed by a limited lifetime warranty against cracking, pitting, corroding and peeling. Family owned smaller replacement window companies in the Dallas Fort-Worth area are providing homeowners with great vinyl windows at less money that will undoubtedly outlast the windows from the big named competition. The replacement window professional in Dallas: Don Young Co.
Who's Making The Best Vinyl Windows In Dallas? Since the start of Don Young window company back in 1978, we have worked hard on designing and manufacturing the best vinyl windows for the Dallas Fort-Worth markets possible. We have always chosen to use the most energy efficient low E glass and most durable vinyl frame materials proven to hold up to our Texas heat for our vinyl windows. We put in tremendous amounts of sweat equity into our vinyl window manufacturing company over the years to ensure our windows can proudly have a reputation for excellent vinyl windows from Dallas Fort-Worth homeowners that have our windows installed in their homes. We can say with confidence that, yes, the Don Young window company has earned the label of producing one of the best vinyl windows that incorporates durability, strength, and energy efficiency in all of our vinyl windows. Through daily commitments of strict quality assurance practices, we keep the focus on daily window quality and ongoing improvements in window production. The beauty of all this commitment to vinyl window quality is that once you’ve put in the work to achieve making the best windows, it brings with it a following of satisfied homeowners. These happy homeowners that have our windows installed in their house highly recommend the Don Young vinyl windows to neighbors, friends, and they write some of the best reviews of our windows products any window manufacturer could hope to receive. The Don Young window company specializes in making custom replacement vinyl windows. This means we are putting 100% of our focus on better components used in our windows and more options to choose from in our window lineup for the residential homeowners. One of the things we know is when people start shopping for windows to replace their old ones in their homes; they want a lot better window then came with the house. All of Don Young window efforts surround this need of homeowners wanting the best vinyl windows for the money. Best replacement windows for the money is what Don Young excels at; we solve all the problems of old windows by making windows more energy efficient, quieter, blocks most of the suns heat, are long-lasting, and less drafty. The way we focus on making custom windows that we proudly use in our own homes and friends homes is in stark contrast to what so many large window manufacturers produce. Large window companies focus on reducing material cost by any means necessary to sell at a cheaper price, to get more sales. These large window companies end up sacrificing quality, longevity, and energy efficiencies by selling at these lower prices. If you want a cheaper vinyl window for your home, the Don Young company doesn't serve that part of the window business. No, you won't have to overspend to have a quality Don Young vinyl windows installed in your lovely home. The main reason why Don Young windows are a better value than the big window names is we only spent about 2% of our window sales on marketing; as compared to big window names spending 15-30% of sales on marketing. You as a homeowner can save more money and have a better, longer lasting vinyl window by choosing Don Young windows over a big national window company. It's astonishing to us to see so many cheaply made vinyl windows products being produced and sold in the Texas market by some of these large manufacturers. While there's usually a lot of fat you can cut from a window manufacturing business; you need to be reasonable about it if the goal is to produce great vinyl windows every day. Cutting some things might improve our overall net profit, but vastly decrease the one thing we are known for and for us that is making one of the best vinyl windows in Dallas Texas. One common thing we at the Don Young window company have with our customers is a lot of employees that work for the Don Young company have our vinyl windows installed in their homes too. We make the windows, and we help design our windows; we use our windows, and we love the vinyl windows we make in our Dallas Texas plant. Don Young window company is always striving to be a little better every year, because of our competitive nature the Young family and our team members have. We aim to set ourselves apart from other window competitors. In order to achieve these high expectations, we continually search the market for the latest glass technologies and vinyl innovations. Utilize the best production techniques keeps quality high and mistakes to a minimum. This is our formula for great vinyl windows and having a healthy debt-free window facility where we make window product that offers customers the most bang for their viny window buck. Don Young windows have positioned itself as a leading vinyl replacement window manufacturer, and we produce over 50,000 vinyl windows per year in our Dallas Texas plant. All Don Young vinyl windows are NFRC, and AAMA certified to meet your specific building requirements. These third-party test labs ensure our vinyl windows meet particular energy guidelines and pass structural strength test. In every vinyl window test performed by NFRC, our windows exceeded every category. Serving: Dallas, Richardson, Plano, Irving, Flower Mound, and Grapevine Texas.